1. How long is the Inspire 2, measured diagonally? Propellers excluded, the 18 inches (605mm) long, diagonally. 2. What propeller model does the Inspire 2 use? 3. Which motor model does the Inspire 2 use? 3512 motors with a KV value of 460. 4. What is the maximum flight speed of the Inspire 2? In Sport Mode, the maximum ascent speed is 19.7ft/s (6m/s), and the maximum horizontal speed is 98.4ft/s (30m/s). When the aircraft descends vertically, the maximum speed is 13.1ft/s (4m/s). The maximum descent speed is 29.5ft/s (9m/s). 5. What is the maximum takeoff height from sea level for the Inspire 2? The maximum takeoff height from sea level is 1.55mi (2500m). With DJI’s specially designed high-altitude propellers installed, you can fly safely up to 3.1 miles (5000m) above sea level. 6. What is the recommended operating temperature of the Inspire 2? -4° to 104° F (-20° to 40° C). 7. What GPS technology does the Inspire 2 use? 8. What does the Inspire 2’s Wind Estimation technology do? If winds are strong, the aircraft will estimate the wind’s direction and speed and adjust its altitude accordingly. 9. What is the hovering accuracy of the Inspire 2 with GPS enabled? Vertical: ±1.64 feet (0.5m) or ±0.33 feet (0.1m, with the Downward Vision System enabled). Horizontal: ±4.92 feet (1.5m) or ±0.98 feet (0.3m, with the Downward Vision System enabled). 10. Where are the Inspire 2’s barometers located, and what do they do? Two barometers are built into the Inspire 2. One is mounted to the nose of the aircraft, while the other is mounted to the rear of the aircraft. The barometer is used to provide accurate flight data. 11. What do the Inspire 2’s fans do? Two fans are built into the Inspire 2. One is mounted between the flight controller and the gimbal, while the other is mounted under the central board. These fans cool down the SSD and the central board. 12. How can I enter or exit Travel Mode? 1. Trigger Travel Mode in the DJI GO app. 2. Press the Power Button five times. 13. What is Quick Spin? When the gimbal reaches its rotation limit, the aircraft will rotate 360 degrees in the opposite direction automatically to free up gimbal movement. 14. What environments are suitable for flight? 1. Do not use the aircraft in severe weather conditions. This includes wind speed exceeding 10m/s, snow, rain or smog. 2. Only fly in open areas. Tall buildings and steel structures may affect the accuracy of the on-board compass and GPS signal. 3. Keep away from obstacles, crowds, high voltage power lines, trees or bodies of water. 4. Minimize electromagnetic interference by not flying in areas with high levels of electromagnetism, including mobile phone base stations or radio transmission towers. 5. Aircraft and battery performance is subject to environment factors such as air density and temperature. Be very careful when flying 14700 feet (4500 meters) or more above sea level, as battery and aircraft performance may be adversely affected. 6. The Inspire 1 cannot operate in Polar Regions in P mode. Please fly in A mode if flying in Polar Regions. 15. What should I make sure to do before and during flight? 1. Ensure that all flights are carried out at a suitable location. 2. Calibrate the compass and IMU before the flight. 3. Set an appropriate RTH altitude, and be aware of the Low battery RTH warning shown in the DJI GO app. 4. Place the aircraft on open, level ground. Make sure the aircraft is still before powering it on. Powering on the Inspire 1 in your hands may lead to horizontal drift. 5. Enable "Multiple Flight Mode" in MC settings. If interference is present, the compass and GPS module may become ineffective, and RTH can't be triggered under the circumstances. 6. Push the sticks gently to make aircraft movements stable and smooth. 16. What should I avoid during compass calibration? 1. Do not calibrate your compass where there is a chance of strong magnetic interference, such as magnetite, parking structures, or steel reinforcements underground. 2. Do not carry ferromagnetic materials with you during calibration, such as keys or cellular phones. 3. Do not calibrate beside large metal objects. 17. When should I recalibrate the compass? 1. When compass data is abnormal, and the Aircraft Status Indicator is blinking red and yellow. 2. When flying at a new location or a location different from your last flight. 3. When the structure of the Inspire 2 has changed, i.e. changed position of the compass. 4. When severe drifting occurs in flight, i.e. the Inspire 2 doesn't fly in straight lines. 18. Why do the four motors not stop at the same time? It is normal if one of the motors stops later than others. There is a standard deviation of about three seconds. 19. How does the switch on the USB cover work? 1. Toggle the switch up to connect a mobile device. 2. Toggle the switch down to connect a PC. 20. What is the obstacle sensing range of the Inspire 2? Forward Vision System: 2.3-98.4 feet (0.7m-30m). Upward Infrared Sensor: 0-16.4 feet (0m-5m). 21. What are the requirements for the Inspire 2 to detect obstacles? Forward Vision System: Surfaces with clear patterns and adequate lighting (> 15 lux). Upward Infrared Sensor: Diffuse reflectance, high reflectance, and amply sized objects, such as walls or trees. 22. Why is the DJI GO app prompting that the Vision System is malfunctioning? When the landing gears are not raised, the Forward Vision System won’t work. If the aircraft brakes or turns at high speeds, the Forward Vision System also may not work properly. 23. What is TOF of the Inspire 2? TOF is the Upward Infrared Sensor. 24. How does the TOF work? The sensor on the top of the aircraft can detect obstacles above the aircraft. When an obstacle is detected, the aircraft can brake within 2m of the obstacle and hover in place within 1m of the obstacle. 25. In what circumstances does the TOF work? 1. Within 5m of an object. 2. The object reflectance is diffuse. 3. The object reflectance is greater than 10%. 4. The object reflects light toward the sensor. 5. Severe weather, such as rain, snow, or fog, may negatively affect the sensor’s performance. 26. What is the speed measurement range of Inspire 2’s Downward Vision System? The system can measure speed up to 32.8ft/s (10m/s) at a maximum height of 6.56 feet (2m). 27. What maximum height at which the Downward Vision System can detect altitude? It can detect altitude at or below 32.8 feet (10m). 28. What maximum height at which the Downward Vision System can assist in hovering? It can assist in hovering at or below 36.8 feet (11m). 29. What is the detection frequency of the Inspire 2’s Downward Vision System? The detection frequency is 10Hz. 30. What are suitable surfaces over which the Downward Vision System can function properly? Surfaces with clear patterning and adequate lighting (> 15 lux). 31. What is the measurement accuracy for the Inspire 2’s ultrasonic sensors? Ultrasonic sensor measurement accuracy is 0.33-16.4 feet (10-500cm). 32. What is the ultrasonic detection repeat accuracy of the Inspire 2? The accuracy is 0.03 feet (1cm). 33. What is the ultrasonic detection frequency of the Inspire 2? The ultrasonic detection frequency is 20Hz. 34. What are suitable surfaces over which the ultrasonic sensors can function properly? Surfaces that can absorb or influence sound waves, such as thick carpets. Surfaces angled at 30 degrees or more, such as stairs. Low frequency sound sources (the Inspire 2's ultrasonic system sends and receives 40kHz sound waves). Also, please keep the aircraft away from animals, since the ultrasonic waves may distress and frighten them. Do not fly two aircraft near each other, because their ultrasonic waves may interfere with one another. 35. Are the ultrasonic used to measure altitude? The VPS displayed in the app refers to the height of ultrasonic and Downward Vision System when the aircraft flies at a low altitude. 36. What are the dual IMU units? How do they work? The Inspire 2 features two IMU units. If the aircraft detects an external IMU failure during flight, it seamlessly switches to the internal IMU unit to maintain reliability. 37. How can I check the precision of IMU calibration? You can check the interference on the gyroscope and accelerometer under IMU settings. Tilt the aircraft in different directions and check the IMU readings. If parameters are in green and their values are small, calibration precision is high. You can tap Calibrate IMU to lower the values displayed. 38. What is the Calibration Board for the Inspire 2? The Calibration Board is used for Forward and Downward Vision System calibration. The Calibration Board made of tempered glass is a precise instrument. Hence, it should be kept cool and dry and cannot be misshapen. 1. What are the operating frequencies of the remote controller? The operating frequencies are 2.400GHz to 2.483GHz and 5.725GHz to 5.850GHz. 2. What is the operating current and voltage of the remote controller? The current is 1.6A and the voltage is 7.4V. 3. How long does it take to charge an Inspire 2 remote controller? The remote controller is equipped with a 6000mAh LiPo 2S battery. Fully charging the Inspire 2 remote controller takes approximately 3 hours. It can be used for approximately 4 hours after being fully charged. 4. Can I use an Inspire 2 remote controller with the Inspire 1? No, the Inspire 2 remote controller is not compatible with the Inspire 1, as their transfer protocols are different. 5. What is the operating temperature for the remote controller’s fan? When the temperature exceeds 40°C, the fan will be activated automatically. It will be turned off when the temperature drops below 20°C. 6. Is the Inspire 2 remote controller compatible with DJI Focus? 7. Is the GPS built into the Inspire 2 remote controller? No, but an external GPS module can be attached. The signal of the slave controller is different from that of main controller. If video downlink signal frequency is 5.8GHz, the frequency of the signal between the master controller and slave controller is 2.4GHz. 9. What type of HDMI interface does the Inspire 2 remote controller have? 10. Can the HDMI and USB ports be used to output images at the same time? Yes. Video can be transmitted through both ports simultaneously. In the DJI GO app, under Image Transmission Settings, enable Simultaneous Image Output to the App and HDMI. 11. Is video output by the HDMI module HDCP encrypted? 12. How will the Inspire 2 react if the remote controller is powered off during flight? With sufficient GPS signal (6 or more satellites), a Home Point will be successfully recorded every time you start the motors. You can choose Failsafe RTH, hovering, or landing as aircraft reactions for when signal is lost. Failsafe RTH will work as long as GPS signal is sufficient. 13. What happens to image transmission on the slave controller if the master controller is powered off? The gimbal cannot be controlled by the slave controller and image transmission to the slave controller’s mobile device will stop if the main controller is powered off. The Aircraft Status bar will show “No Signal”. Power on the master controller and image transmission will work again. 14. How can I power on and off the remote controller? 1. Press the Power Button once and the Battery Level LEDs will display the current battery level. If the battery is low, the remote controller should be charged. 2. Press and hold the Power Button for two seconds to power on the remote controller. The remote controller will beep and the Status LED will be solid green when linking is complete. 3. Press the Power Button once and then press and hold it for two seconds to power off the remote controller. 15. Can I use the remote controller to charge a mobile device? Yes, launch the DJI GO app and enable Charge. Both mobile phones and tablets can be charged. 16. What is the largest tablet that will fit in the remote controller’s mobile device mount? The mount can support an iPad Air 2 (Height 240mm, Weight 169.5mm). Tables should be no more than 170mm wide. 17. What are the differences between the master controller and slave controller? The two remote controllers are the physically same. After being set as the master controller and slave controller, their functions are different. The master controller has the same functions of a single controller, while the slave controller can only control the gimbal camera. Under Settings in the DJI GO app, for the slave controller, "MC Settings" are not available, but the rest of the settings will still be available. 18. How can I switch the Stick Mode? The remote controller is set to Mode 2 by default. You can change the Stick Mode in RC Settings. (RC Settings - RC Control Settings - Stick Mode-Mode 1/Mode 2/Mode 3/Custom). 19. What are the functions of the gimbal dial? Use the gimbal dial on the remote controller to control the pitch of the camera, by default. Note that you cannot control the pan of the camera by default. Enable the “Master-and-Slave” mode and set the remote controller to the “Slave” mode if you want to control the pan, pitch and roll of the camera. Note that you cannot control the pan of the camera by default. 20. Can I use DJI Assistant 2 to upgrade the remote controller? No, the remote controller firmware can only be upgraded in the DJI GO app. 21.Which firmware will be upgraded first in the DJI GO app if both the aircraft and the remote controller firmware need to be upgraded? The aircraft firmware will be upgraded first in the DJI GO app. 1. What is dual-frequency and dual-path? Dual-frequency: The image transmission signal and control signal can switch between 2.4 GHz and 5.8 GHz frequency bands. Dual-path: Main camera view and FPV view can be obtained at the same time. 2. How do I switch between the two frequency bands? 1. After power-on, the Inspire 2 will automatically choose a frequency band with less interference. Then the Inspire 2 will not switch to other frequency band. 2. You can switch the frequency band in the DJI GO app during flight, but the control signal and image transmission signal may be interrupted temporarily. 3. Can the remote controller be connected to the aircraft if the frequency band is switched when there is no image transmission? 4. What is the effective image transmission distance of video downlink for the Inspire 2? 5. 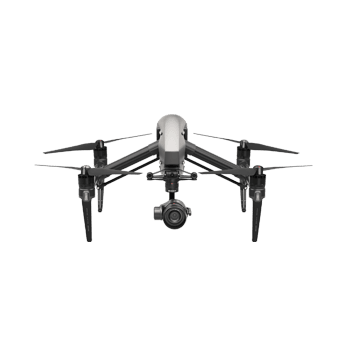 What are the resolution and frame rates of video downlink for the Inspire 2? Main Camera: 1080p, 50fps or 720p, 60fps. FPV: 608 x 448, 30fps. 6. Can I get the FPV view in the DJI GO app with the slave remote controller? 7. Will the image transmission be affected if the remote controller connects to the DJI GO app and HDMI display at the same time? 8. Is there any delay during image transmission? If so, how long is the delay? Yes, image transmission will be delayed for less than or equal to 220ms. 9. Will the cashed video get stuck if the image transmission gets stuck? 10. How will the bandwidth of the image transmission affect the effective image transmission distance and image download speed? 1. A lesser bandwidth indicates a longer image transmission distance. 2. A greater bandwidth indicates a faster image download speed (minimum 400k/s and maximum 1.4m/s). 1. What are the specifications of the charger? 2. What are suitable conditions for charger usage? The charger needs to be used at or below 5km above sea level and in temperatures between 5° Celsius to 40° Celsius. 3. What are the specifications of the Intelligent Flight Battery for the Inspire 2? 4. What are the environmental temperature requirements for charging and discharge batteries? The temperature when charging batteries should be between 5° and 40° Celsius. The temperature when discharging batteries should be between -20° and 40° Celsius. 5. How long does it take to charge the batteries with an original battery charger? It takes around 90 minutes to charge two batteries and 180 minutes to charge four batteries when charging with original battery charger or battery charging hub. 6. Which battery will be charged first when several batteries are inserted to the battery charging hub? The battery with the highest remaining charge will be charged first. If the batteries are grouped, the grouped batteries with the highest remaining charge will be charged first. 7. How do I upgrade the battery charging hub? Upgrade the battery charging hub with DJI Assistant 2. 8. How long can my Inspire 2 fly? 1. When one battery is mounted, the Inspire 2 can fly for 16 minutes with the Zenmuse X4S, 14 minutes with Zenmuse X5S, and 19 minutes without out any camera. 2. When two batteries are mounted, the Inspire 2 can fly for 27 minutes with Zenmuse X4S, 25 minutes with Zenmuse X5S, and 31 minutes without out any camera. 9. Do I need to calibrate the batteries (TB50) for the Inspire 2 by fully charging and discharging them? 10. How can I check the time remaining on battery’s lifecycle? Launch the DJI GO app and check Times Charged under Aircraft Battery. The maximum number of charges covered under warranty is 200. 11. How is one battery cycle calculated? For the Inspire 2 batteries (TB50), discharging the battery level by 80% of the total power is counted as one cycle. 12. Can I enable self-heating mode to raise the battery’s temperature to 15 degree Celsius when the environmental temperature is low (-10 degrees Celsius or less)? If the environmental temperature is low, self-heating may not work as required. It is recommended to enable self-heating mode with the designated battery insulation sticker when the environmental temperature is below zero degrees Celsius. 13. Can my Inspire 2 fly when the charge of the two batteries varies? If the charge difference of the two batteries is less than 13%, the Inspire 2 can fly. If not, a warning stating that the charge difference of two batteries is too large will be shown in the DJI GO app. 14. How will my Inspire 2 react if one of the batteries is malfunctioning during flight? The Inspire 2 will analyze the malfunction. The DJI GO app will show a “battery communication error” warning or “battery cell damaged” warning and prompt you to fly the Inspire 2 to the Home Point. 15. Why do the batteries need to be grouped? When batteries are charged and discharged after grouped, both battery lives and flight time can be prolonged. 16. How do group batteries? Please group batteries with the DJI GO app. 17. How can confirm whether the battery has been mounted correctly? 1. The battery is inserted into the battery compartment. 2. The battery cannot be removed from the battery compartment by gently pressing its two sides with your hands. 3. The battery cannot be removed by pulling with your hands. 4. In the DJI GO app, no battery warning is shown and the battery information under Aircraft Battery is normal. 18. How should I store the batteries? Store batteries with 40% to 65% charge. It is recommended to charge and discharge the batteries every three months for optimal battery performance. 19. How do I upgrade the batteries? The batteries need to be upgraded together with the aircraft. Mount the batteries to the aircraft and upgrade them one at a time. 1. What are the SSD licenses used for? 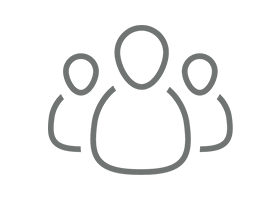 With a SSD license, you can record videos in CinemaDNG and Apple ProRes formats. To use SSD license, you can purchase it with a brand-new product or separately, and activate with the license key. You can purchase one or two licenses at the same time and activate it (them). Zenmuse X5S, CINESSD, and CINESSD Station are required to use with SSD licenses. 2. What are the lenses supported by the Zenmuse X5S? 3. What is First-Person View (FPV) of my Inspire 2 used for? FPV allows you to control the aircraft from a first-person perspective, and helps you fly the aircraft safely when the camera isn’t centered. You can use some Intelligent Flight Modes, such as TapFly with the FPV view. 4. Can I capture a photo or record a video in FPV mode? 5. How do I find the FPV view of my Inspire 2 in the DJI GO app? The FPV view is on the lower right corner of the camera screen by default. You can move it to other three corners. Tap the FPV view and the current camera screen will be changed to the FPV camera. Tap the lower right corner to exit the FPV view. If the FPV view cannot be shown because the screen of the mobile device is small, you can choose the main camera view or FPV view in the DJI GO app. 6. What is the resolution of the screen in FPV mode for the Inspire 2? The resolution is 480p (640 x 480). 7. How do I control my Inspire 2 in FPV mode? Press the C2 button and camera settings dial on the left of the remote controller to control the pitch axis of the gimbal. The roll axis of the gimbal cannot be controlled. 8. What are the gimbal operation modes? Follow Mode: The angle between the gimbal’s orientation and aircraft’s nose remains constant at all times. You can control the pitch of the gimbal. Free Mode: The gimbal’s motion is independent of the aircraft’s orientation. You can control the pitch of the gimbal. Re-alignment: Tap to force the gimbal orientation to re-align with the aircraft’s orientation by panning from gimbal’s current orientation. Pitch of the gimbal will remain unchanged during the re-alignment. 9. What is the operating temperature of the fan in the gimbal? The fan in the gimbal helps dissipate heat, and a sensor determines whether the fan is turned on or off. When the sensor’s temperature reaches 30 degree Celsius, the fan will start working. When the sensor’s temperature decreases to 20 degree Celsius, the fan will stop. It is normal for the fan to stop working during use. 10. How many types of SSD are available? What are they? 120 GB, 240 GB and 480 GB SSDs are available. 11. Is the SSD hot pluggable? 12. Where are my photos stored? Photos will be stored in the SD card. 13. What is the connector type of the card reader for the solid-state drive (SSD)? USB 3.1 Gen 1 Type A and Type B. 14. How do I export captured photos and recorded videos? If the photos and videos are stored on the SD card, you can view them in the DJI GO app or download them to the mobile device and process them on a computer later with a card reader. If the photos and videos are stored on the solid-state drive (SSD), you need to process them with a designed card reader. Do not store other data or delete the data on the SSD. 15. Can a solid-state drive (SSD) work as a portable hard drive when used with a card reader? No, because the SSD uses a designated filing system. 16. Does the Zenmuse X4S support a solid-state drive (SSD)? 17. Does the Zenmuse X4S feature optical zoom or digital zoom? 18. What are the SD cards supported by the Zenmuse X5S and Zenmuse X4S? Micro SD cards formatted to FAT32 and exFAT are supported. Class 10 or above, UHS-1 rating, and 15 MB/s write speed are required. Maximum capacity is 128 GB. 1. How do I choose an object that I want track in Spotlight Pro for the Inspire 2? Tap the object on the camera screen or drag a box around the object. 2. What are the requirements for an object to be tracked in Spotlight Pro for the Inspire 2? 1. The object should have clear patterns or texture. 2. The background should be clear with various color shades. 3. The outline of the object should be clear. 3. What is ESC Beeping in the DJI GO app? When ESC Beeping is enabled and the aircraft is lost, the ESC will emit a sound and the aircraft’s location can be determined more easily. Tap the ESC Beeping icon again to disable it. VPS shows the absolute distance between the height of the aircraft and ground. The effective distance ranges from 0 to 10 meters. 5. What should I do before using the DJI GO app? Before using the DJI GO app, you should register a DJI GO account with your email address or sign in your account if you have registered. This ensures the safety of your flight records and allows you to synchronize and check flight records anytime, anywhere. 6. How do I delete the local and synchronized flight records? Under Flight List, choose the flight record you want to delete, slide it to the left, and then tap Delete. Synchronize the flight records and the flight record you just deleted will also be removed from the synchronized flight records. 7. Is the time of the flight record the local time? The time of the flight record refers to the take-off time of the aircraft recorded by the mobile device. 8. What is the black cloud icon in the upper right corner of a flight record? The black cloud icon indicates that this flight record has been synchronized. There will not be a black cloud icon for newly generated flight records. 9. What is EXP in the DJI GO app? EXP indicates the relationship between the physical output of the manipulated stick and the logic output of the manipulated stick. The x-axis shows the physical output of the manipulated stick. The y-axis shows the logic output of the manipulated stick. With same physical output of the manipulated stick, the larger the EXP, the larger the logic output of the manipulated stick. It is recommended to set EXP to a smaller value or default value (4) for beginners. 10. What is Sensitivity in the DJI GO app? Attitude (100): Adjusts the response speed of the aircraft at different attitudes. Brake (100): Adjusts the braking speed of the aircraft. Yaw End Point (150): Adjusts the rotation speed of the aircraft. 11. What is Spotlight Pro for the Inspire 2? In Spotlight Pro, the main camera will detect an object and keep tracking the object without affecting the attitude of the aircraft. 12. What are the ActiveTrack modes of the Inspire 2? There are two ActiveTrack modes:br/> Follow. 13. What is TapFly for the Inspire 2? Inspire 2’s TapFly is similar to the Phantom 4’s. The aircraft will fly toward the designated direction after you tap on the mobile device screen. The flight attitude, gimbal and flight speed can be adjusted during flight. You can enable TapFly and Spotlight Pro at the same time, but TapFly can only be enabled on the screen in FPV view for the Inspire 2. 14. Will the upgrade process be displayed in the DJI GO app when I am upgrading the firmware with DJI Assistant 2? 1. How many types of the License Key are there? The License Key can be divided into two types: CinemaDNG and Apple ProRes. You can purchase one or two licenses at the same time as required. 2. How do I purchase the License Key? 1) You can purchase CinemaDNG and Apple ProRes License Key. The License is not required to be purchased separately and activated. It can be used directly. 2) You can purchase the aircraft, gimbal, and one License (i.e. CinemaDNG License Key) at the same time. The Cinecore code is not required to be bound, but the verification code needs to be filled in DJI Assistant 2 to activate the License. 3) You can purchase the aircraft first and then purchase one License. The Cinecore code needs to be bound and the verification code should be entered in DJI Assistant 2 to activate the License. 3. Where can I purchase the License Key? You can only go to DJI Store to purchase the License Key separately. 4. How do I activate the License Key? The License Key can be activated on the License screen in DJI Assistant 2. After purchasing the License, you will receive an email with a verification code. Enter the verification code in DJI Assistant 2 to activate the License. 5. Is there any time limit for using the License Key? 6. Can I return the License Key after purchase? If the License Key is purchased separately within 30 calendar days and has not been activated, you can request a return service. If the aircraft compliance with the return policy, License key can be return together. 7. What should I do if I enter a wrong Cinecore code? If the License Key is purchased within 30 calendar days and has not been activated, you can request a return service and purchase it again. With the verification code unused, the License will not be activated by other users. 8. Can I use the License Key for Zenmuse X4S? No, the License Key needs to be used together with the Zenmuse X5S /Zenmuse X7, CINESSD and CINESSD Reader. 9. Can I transfer the License Key? No, you cannot transfer the License Key. 10. Can the License be bound to the repaired aircraft when my Inspire 2 is damaged? Yes, the License can be bound to the repaired aircraft. 11. Can the License be bound to a new aircraft if my Inspire 2 is lost and I cannot find it? Please contact DJI Support. If the aircraft is lost due to a quality issue and the aircraft is under warranty, the License can be bound to the new aircraft. 1. What lenses are compatible with the Zenmuse X7? 2. What lens mount does the Zenmuse X7 use? Can I mount a third-party lens? DL-mount. The mount cannot be used with a third-party lens. 3. Is the lens hood of the Zenmuse X7 lens interchangeable? No. The lens hood can only be used with the designated lens. Note that the lens hood is required to fit the lens parameter. Reason: The size of the lens hood varies based on the lens’ FOV. Using an improper lens hood may affect the shooting. 4. Must a lens hood be attached with the Zenmuse X7? No. But it is recommended to use a lens hood to avoid the glare when shooting some scenarios. 5. Must a filter be used with the Zenmuse X7? No. It depends on the actual demands. It is recommended to use a lens protector for protecting the lens and balancing the gimbal when the ND filter is not used. Besides, using a filter may cause glare due to lens reflections. In this case, remove the filter. 6. Are the ND filters compatible with the Zenmuse X7 lenses? 7. What filters do the Zenmuse X7 lenses support? 8. Do the Zenmuse X7 lenses support third-party filters? Yes. Use filters with ø46 mm, weight 10-12 g, and thickness (except for the screw-threaded type mount) less than 4.4 mm. 9. Does the Zenmuse X7 lens support dual filters? Yes. When using dual filters, remove the lens hood. Note that without a lens hood may result in glare when shooting in some scenarios. 10. How can I enable the built-in ND filter of DJI DL-S 16 mm F2.8 ND ASPH lens? You can enable or disable the built-in ND filter option in DJI GO 4, or you can set it as Auto and the app will automatically control the ND filter based on the light. 2. In Record mode, the built-in ND filter is not available. 3. In Shutter mode, the built-in ND filter will be enabled automatically when capturing scenes. 11. How do I use the CMOS dust removal function? You can select dust removal in DJI GO 4. Ensure that the aircraft and camera work normally and click “Start”. The app will inform you to remove the lens. Then remove the lens and mount the rear cover to the removed lens to avoid dust. The gimbal will make the camera face downwards and then the dusting starts. It takes about few seconds to do it. After the dusting, the gimbal will center. Please mount the lens or a dustproof cover. 12. What is the controllable range of the Zenmuse X7? Note: The gimbal’s controllable range relates to the aircraft attitude. 13. Is it normal that only the Pan axis rotates after the Zenmuse X7 is powered on and self-check is performed? Yes. The Zenmuse X7 is different from the Zenmuse X4S and Zenmuse X5S. Its self-check process has been simplified and this also protects the lens from damage. 15. What does letter C on the side of the lens indicate? C indicates both cinema and carbon fiber. That is, the Zenmuse X7 lens is an integrated light-weighting carbon fiber lens designed for cinema aerial photography. 16. What is the maximum flight time of the Inspire 2 with the Zenmuse X7? Around 23 minutes (flying close to sea level and no wind at a consistent speed of 15 m/s). 17. What is Super 35? In the cinema word, the standard size of the sensor is around the super 35. For example Sony NEX-FS100 features a super 35 mm sensor. 18. Why does the gimbal tilt axis automatically center during landing? This feature will be enabled during landing or when the aircraft returns automatically. When the aircraft reaches the Home Point or starts landing, the gimbal tilt axis will center to prevent any damage to the lens. 19. Will I need to purchase the License again? There is no need to purchase it again. Customer who purchased the License can use it with the Zenmuse X7 directly. Update the firmware ( v1.1.0200 ) to the latest version. The new CineCore 2.1 applies DJI Cinema Color System and Log Gama and color gamut are used. Setting all color modes to D-Log or D-Gamut allows to record wider dynamic range and broader color gamut. D-Log obtains over 15 stops of dynamic range and conserves more highlight and shadow details, which can balance the dynamic range and noise level, and is compatible with the traditional cinema workflow. D-Gamut provides broader color gamut and covers DCI-P3, which provides a wider gamut color space. It can create higher saturation images, capture more details in every shot, and produces natural-color images. 21. What is Exposure Index (EI)? In EI mode, the exposure system of the Zenmuse X7 is the same as that of most cinematographs. It is used to change exposure and adjust signal-noise ratio, highlight latitude, and ProRes’ dynamic range. The higher the EI, the better the highlight latitude. The lower the EI, the better the signal-noise ratio and smaller the ProRes’ dynamic range. Users can adjust it based on the actual demands. 22. What is CineCore 2.1? What is the difference from the CineCore 2.0? How do I use it? 1. Supports higher resolution. With the Zenmuse X7, CinemaDNG reaches up to 6 K.
2. Supports EI mode to fit film or video production. 3. Supports black level calibration to reduce distortions and noises. 4. Supports new DJI Cinema Color System to record a high dynamic range and wider color gamut. Users who use the Inspire 2 with the Zenmuse X4S, Zenmuse X5S, or Zenmuse X7 can use the new CineCore 2.1 after the firmware update. 1. After EI mode is enabled, there might be an error with the accuracy when the camera auto focuses when capturing low light scenes. In this case, turn off the EI mode after the object is focused, and then turn on the EI mode. Or choose a bright object with clear texture to focus. 2. How to set the EI value. A lower EI value means a better signal-noise ratio while a higher EI value can obtain a wider dynamic range. Balance between signal-noise ratio and dynamic range will depend on filming demands and pretesting. For film production with general purpose, set the EI value to 400. 1. What remote controller or aircraft can be connected? a) Multilink supports the Inspire 2 standard remote controller and Cendence. b) Multilink does not support other remote controllers. 2. Will the image transmission latency for the Slave remote controller be larger than that for the Master remote controller? Both the Master and Slave remote controllers receive the image from the aircraft directly, so the Slave remote controller’s image transmission is not slower than that of the Master remote controller’s. 3. What does “Master/Slave Delay” mean in the product parameters? This is the control command delay. The control commands refer to inputs on the Slave remote controller controlling the gimbal movement or changing camera parameters. 4. How do the devices respond if the Master and Slave remote controllers lose the Multilink communication accidentally? a) The Master and Slave remote controllers will still receive the transmitted image. b) The Slave remote controller will search for the Master remote controller and try to reconnect with it. 5. After connecting 3 Slave remote controllers, what will happen if the user tries to connect more remote controllers with Multilink? The user can find the Master remote controller, but there will be a “Full” notification on the remote controller list, and no more remote controllers can be added or selected. 6. How do the devices respond if the Master remote controller or the Slave remote controller loses image transmission? a) If the Master remote controller loses image transmission, the aircraft will follow the same logic as it would when it is controlled by a single remote controller. b) If the Slave remote controller loses image transmission, it will try to connect again. The aircraft will not lose control or return to the takeoff spot. 7. How many Slave remote controllers can connect to one Master remote controller? One Master remote controller can be equipped with up to three Slave remote controllers. 8. How is the control of the gimbal distributed? The Master remote controller and Slave remote controller 1 can both control the gimbal, but not simultaneously. Slave 2 and Slave 3 cannot control the gimbal. 9. How is the control of the camera distributed? 10. Should all Master and Slave remote controllers be equipped with a Multilink before using? 11. Why is there a beep when inserting or removing the Multilink from the remote controller? The remote controller will make a beep when it detects Multilink being inserted removed. 12. How to upgrade Multilink’s firmware? a) Before updating, connect the Multilink module to the remote controller. If the remote controller’s firmware update includes a Multilink module update, then the system will update the Multilink module together with the remote controller simultaneously. b) When updating the remote controller’s firmware, if the remote controller’s firmware update includes a Multilink update, but the Multilink was not connected to the remote controller, then the next time you connect the Multilink, a notification “Inconsistent Firmware Found” will pop up in DJI GO 4. To start the update drag the slider on the Multilink module firmware notification. 13. Can the user switch the Slave remote controllers’ positions? Yes. For example, switching Assistant A to the Gimbal Operator. When switching the position, the Gimbal Operator’s confirmation is not needed.